Once you hit the link you will be taken to this screen. 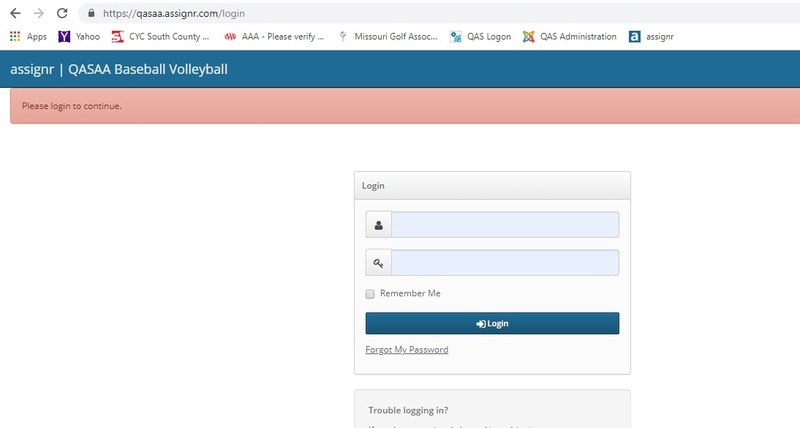 Please login using the credentials that were assigned to you. After login you will be taken into the application. 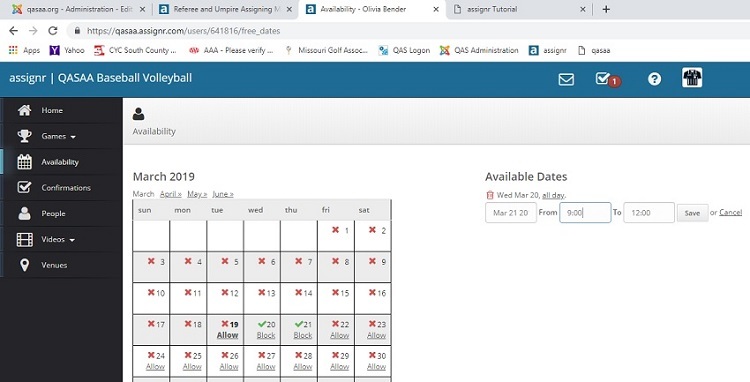 One of your main responsibilities is to manage your availability. 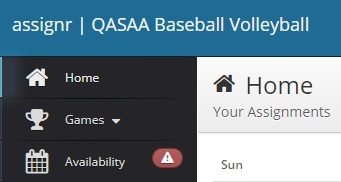 Without setting your availability, the Head Official will not be able to assign you any games. As you can see here, this person does not have any current availability. You can also use this link within assignr to view more details. Click on the word Availability. From here there are two ways to set you availability. Click on Allow for any day that you can referee. This makes you available for that entire day. As you can see by this example, I am available all day March 20th, and from 9:00 - 12:00 for March 21st. 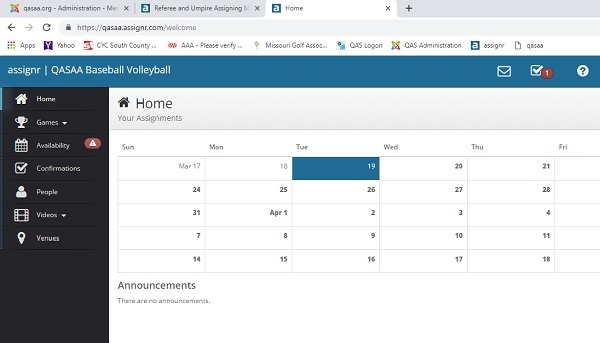 Once games have been assigned, the next thing the Head Official needs from you is to accept or decline your assignments in a timely fashion. That is simply done when you login by clicking on the Accept Game or Decline Game.